As Labour’s Shadow Secretary of State for Communities and Local Government I understand how crucial it is to have real and meaningful community involvement in the decisions that impact on the development of a local area. That’s why I was proud to help launch Labour’s new commission to reach out to communities across the country that have been denied a voice in the decisions that affect their towns, villages and cities at our party conference in Liverpool this week. Labour’s Planning Commission will seek to reverse the impact of government deregulation of planning that has resulted in residents being ignored when decisions are made about new developments in their community. The Commission itself will robustly cover all aspects of the planning process, including the necessary infrastructure to underpin new development and the most important aspects of any proposed development. Most importantly this will include support for genuinely affordable housing for social rent. We absolutely need this radical rethink in approaching planning for local areas – since 2010 Local Government Planning Departments have become increasingly stretched, dealing will more applications, and struggling with a deregulated, poorly functioning planning system. This Commission will help Labour design a planning system that works for communities, and helps deliver the kind of development that communities want and need for the future. 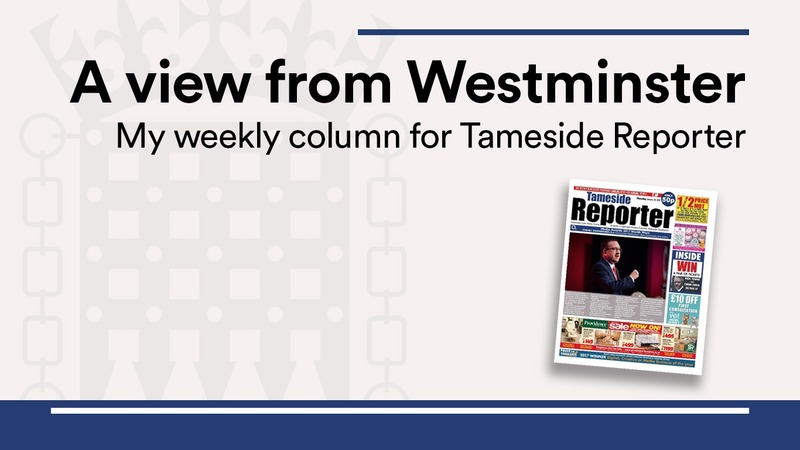 Locally across Tameside, as well as the rest of my constituency, these proposals will help empower local planning and place local communities at the heart of Labour’s planning agenda. As a community we have already seen a local example of the planning process being led by developer, and a process that happens to a community rather than being community-led, specifically the Greater Manchester Spatial Framework (GMSF). Labour’s Planning Commission will seek to put locals first and will consist of experienced planners and stakeholders who will assist with the development of a new plan making process, and one that is built on the Labour principles of tackling inequality, community inclusion and promoting social justice. I want to help create a planning system that works in the public interest, and I believe these proposals will achieve positive change.